The incoming week end is dedicated to screen printing! DRUCK FESTIVAL BERLIN, on Saturday the 27th and Sunday the 28th of August. 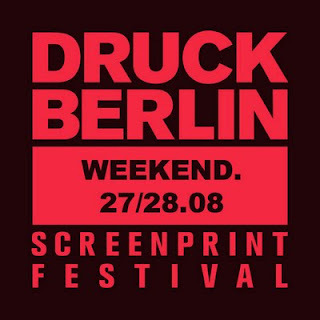 The festival will take place in STATTBAD ( Wedding) Gerichtstr 65,13347 Berlin. The tickets cost 8€ for both days and 5€ for one day.